Video_TS.BUP: The exact copies of the IFO files, which enables to play the DVD video correctly when the IFO files can’t be read. 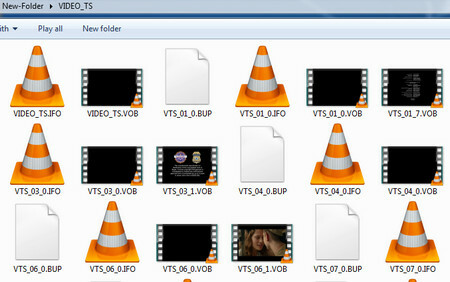 Video_TS.VOB: The main part of a DVD video, which contains video & audio data, subtitles and other data about the video. Video_TS.VOB files can be played directly with some specific VOB players. As a required part of DVD video, Video_TS directory isn’t supported by most media player, let alone watch it on mobile devices. Fortunately, here we introduce two useful methods for you to fix how to play Video_TS. Keep reading! 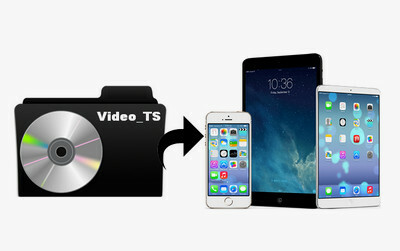 The best solution to convert Video_TS to MP4, AVI, MKV, MPG and many other video formats as well as mobile devices so you can play Video_TS on PC, TV, tablet, mobile phone. It’s lightning-fast, easy and full featured. VLC Media Player is designed to play kinds of multimedia files, DVDs, CDs, etc. It can also play Video_TS files as a Video_TS player, which is only a few clicks away. Let’s see how to do it. Sep 2. Run VLC media player. Select “Media”> “Open Folder…”. Step 3. Find the Video_TS folder on your PC and select it. Click on “Select Folder” to import and play the Video_TS folder. It’s a quite easy solution to fix how to play Video_TS with VLC. Sometimes when you play Video_TS with Video_TS player, you may find that there are some green bars on the image or other problems that would influence the viewing experience, which are always caused by DVD copy protections. So, you can convert Video_TS to a digital video format directly, and then you’re able to play the file on any devices without hassles. To achieve this, you need a powerful Video_TS converter that can remove DVD copy protection and supports many popular output video formats. I highly recommend WonderFox DVD Ripper Pro. 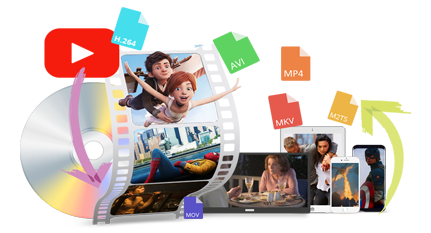 It can bypass kinds of DVD copy protections like DVD CSS, Region Code as well as Multi-angle, and convert Video_TS to MP4, Video_TS to MKV, Video_TS to AVI, etc. Let’s follow the step-by-step tutorial. WonderFox doesn’t encourage any illegal duplication and distribution. Please make sure it’s legal before you convert or copy any copy-protected contents. Open WonderFox DVD Ripper Pro. 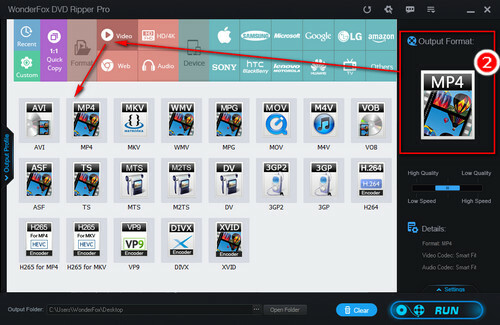 Create a new folder and put the Video_TS folder you want to play into it since Video_TS can’t be read individually. Next press “DVD Folder” to add the new folder you created just now. 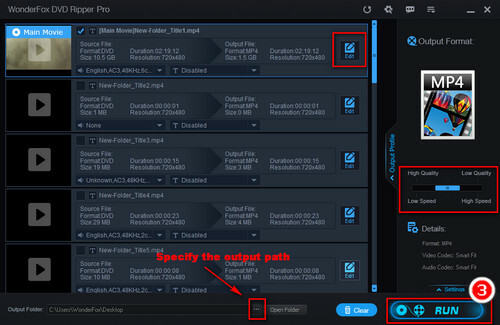 The software will quick detect, analyze the Video_TS folder and select the main movie you need. Tips. You can use it as a Video_TS player to play the Video_TS files. Just click the Play icon on the left of each title to open the WonderFox player. Click on “Output Format” button on the right. Choose an digital format under Video tab. Since MP4 is one of the most universal format, you can convert Video_TS to MP4. 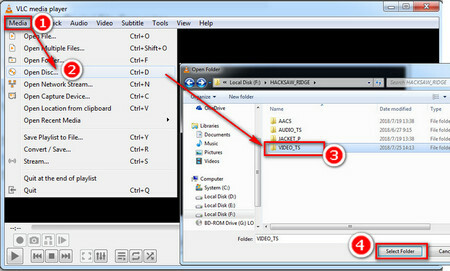 Or if you want to fix how to play Video_TS files on Windows Media Player, choose WMV for Windows Media Video. If you want to play Video_TS files on Mac, MOV for Quick Time is the best option. Moreover, if you don’t know which format your device supports, you can directly choose your device model under Device tab. Choose an output folder by clicking on the three dots icon next Open Folder. Then click on “Run” to convert Video_TS to video format. WonderFox DVD Ripper Pro supports hardware acceleration including Nvidia NVENC and Intel QSV to extremely minimize the time for conversion. Once it finishes, you can play the converted Video_TS files on PC and transfer them to your mobile devices for handy playback without the requirement of a Video_TS player. Tip. 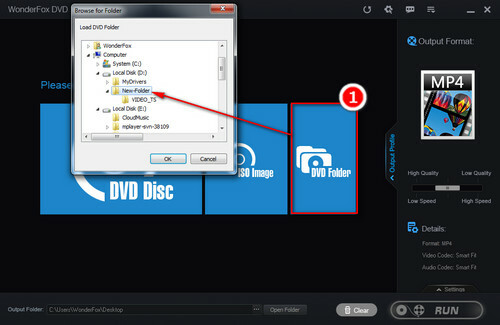 WonderFox DVD Ripper Pro also enables to edit DVD, change output video quality, add subtitles like forced subtitles to DVD. WonderFox DVD Ripper Pro is a good solution to solve how to play Video_TS on any devices. Moreover, it supports DVD disc and ISO image conversion. You can use the software to convert DVD/ISO image to MP4, AVI, MKV, MOV, WMV and more other formats, copy DVD to ISO for exact backup, extract audio from video, etc. The software can not only convert Video_TS files, but also download videos from YouTube, Facebook, Vimeo, Dailymotion and convert any video to other video formats. All the features are self-explanatory and useful. It’s worth a try!